Political Podcast Review: Did Trump mean what we think he meant? 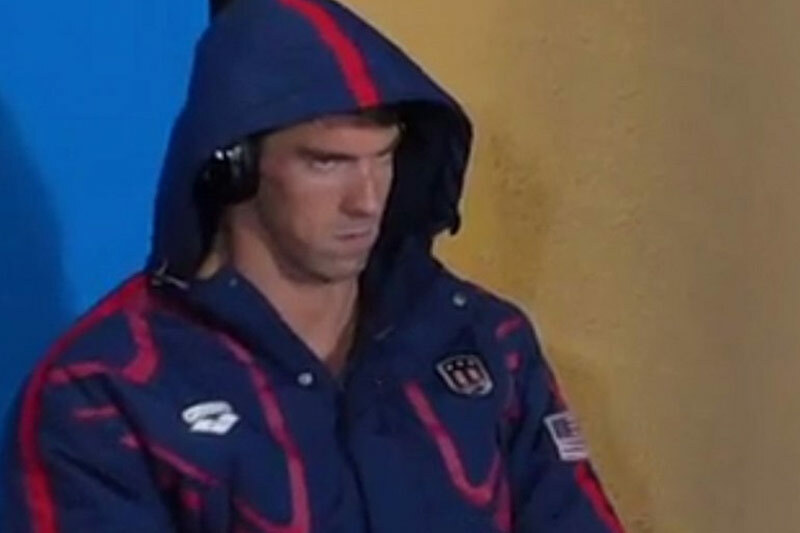 Michael Phelps listens to Keepin’ it 1600 before his match up with South Africa’s Chad le Clos (unconfirmed). And shouldn’t the fact that we’re discussing whether he suggested political assassination be disqualifier enough? Having come off of two particularly rough weeks on the campaign trail, Trump did a big tele-prompted economic speech in Detroit and the headline was that it was a “reset” for his Presidential bid. And then he suggested his supporters exercise their 2nd Amendment rights against his opponent. Deep breath in. Deep breath out. The 2016 Presidential Election is serving as a big, fat magnifying glass on some of America’s most complex issues, and week-by-week political podcast hosts try and unpack what this all means. And what will the country look like on November 9th, when all the problems have been called up, debated, chewed over, held up, highlighted and then spewed up all over the floor? Vox’s The Weeds, the perfect podcast for left-leaning policy enthusiasts, digs deep into the anti-establishment sentiment — largely focused around anti-immigrant and violent sentiments — being stirred up by Donald Trump’s campaign. They all agree that there is significant long-term danger of this tactic. With each passing week it feels more and more that the country will be struggling with the fissions the campaign is creating (or maybe highlighting?) long after the victor has moved into the Oval Office. The Weeds hosts Ezra Klein, Dara Lind and Libby Nelson identify that Hillary’s pro-Bernie critics have a deeply held mistrust of the Democratic nominee. They emphasize that the lack of trust in a potential President — and the political system she represents — is inherently dangerous because the underlying norms that operate the system have lost the public trust too. What’s interesting in a lot of this commentary is the underlying assumption that our current system is inherently good. Is Donald Trump creating distrust and hate? Or is he tapping into a very real sentiment that existed long before he called himself a Presidential candidate? Disregard the candidate, yes, but should we be taking a long hard look at the distrust of the system that he is capitalizing on? Over on Politically Re-Active with W. Kamau Bell and Hari Kondabolu, cultural critic and filmmaker dream hampton discusses a fourth branch of government: the Execution Branch. This new branch is defined by police who use excessive, even deadly, force rather than de-escalation tactics on men of color. She concludes her interview with a call to action for white Americans to not just be allies, but freedom fighters in the fight for racial justice. “Nothing will change in America if there is just a bunch of mad people of color,” she says. In a sea of political podcasts dominated by white men, Bell and Kondabolu again give us a different view. It’s difficult to discuss racial injustice without simultaneously losing any morale you may miraculously still be holding onto after the course of this election year, but this episode does an excellent job of approaching these topics in a unique yet not-so-grim way. Once again, they tackle the toughest issues of our time with humor that is also inherently sensitive. As always, Bell and Kondabolu’s end-of-episode recap is designed to highlight the funniest parts of the recording rather than actually provide a helpful summary. When the chat is so serious, wide-reaching and culturally significant, we end up craving a look-back that aims to inform as well as amuse. Nonetheless, make sure to check this one out. You won’t regret it. It’s undeniable that this election season is depressing at best and utterly terrifying at worst, but the commentary is important. Analyzing the events as they happen and challenging one another to understand why what is happening is happening is essential to everything that comes after Election Day. And I guess that’s why we love political podcasts. This week’s Political Podcast Review was contributed to by Catherine Alonzo, Paloma Ibañez, Duncan Maloney and Michelle Thomas.